In 2017, Jacalyn Broze got her flu shot just like she always did. However, that year the Twin Cities woman knew something was wrong within 24 hours. And after visiting the doctor she got the diagnosis: SIRVA, or “Shoulder Injury Related to Vaccine Administration,” which can happen when a shot is injected too high or too deep into the shoulder. Dr. Elliot Francke, a physician specializing in infectious diseases for 40 years, says he has never seen the condition, claiming it is extremely rare (gee, that’s reassuring). Jacalyn Broze had surgery and is working her way back to health. Considering the shot is barely 10% effective and can cause permanent paralysis (right on the insert), we don’t do it at all. Ever. This story is just another reason why it’s not worth it. In 4 minutes we learn there are “primary non-responders” to each and every vaccine, making them susceptible to the very diseases they are vaccinating for. Getting vaccinated gives people a false sense of security. Even IF they work initially there’s no guarantee it has staying power. 2:00 The more pertussis vaccines a person gets over their lifetime, the shorter duration of time they actually respond to the vaccinations. An adult’s protection might last 6 months to 2 years, whereas a child who keeps getting vaccinated for it has less protection. 2:30 Regarding the influenza vaccine, effectiveness is ONLY for the year it’s given and even that is quite low. The following year may present new strains and literature shows that if are vaccinated with the flu vaccine in year one, your risk in year two for contracting the flu is much higher, particularly a pandemic strain, as well as your risk of shedding and spreading influenza the flu is higher. It changes your immune system so your T-cells can’t use memory response making you more susceptible to the flu than a person who has never been vaccinated. 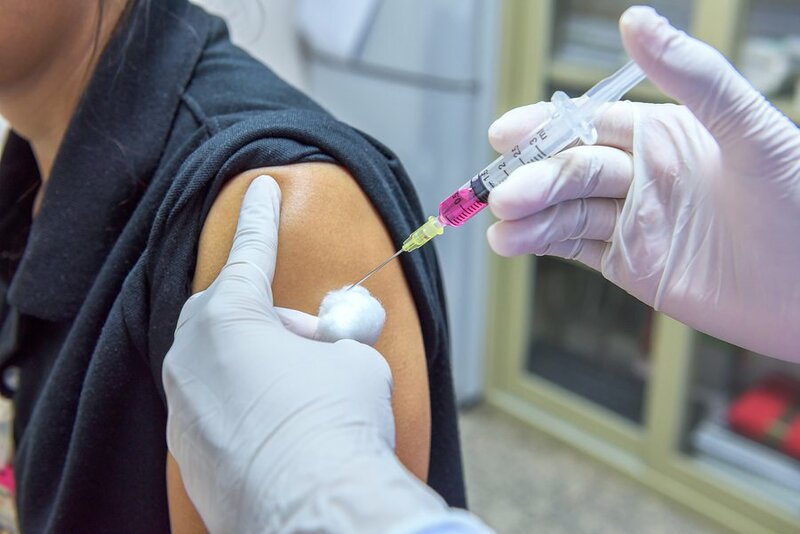 Need more about information surrounding the Flu vaccine? Dr. Mercola clarifies the stats on “flu deaths.” While authorities tout that 35,000 people DIE of the flu, the actual number is less than 1,000. Most of the 35,000 do not die from the flu but rather pneumonia. The flu vaccine does not work against pneumonia at all and hardly works at all for the actual flu. It states, right there in the package, that it has NOT been proven to be effective. Despite the poor results of the vaccine, authorities continue to recommend it for everyone – even infants (6 months). CBS Minnesota, October 11, 2018. Erin Elizabeth is a long time activist with a passion for the healing arts, working in that arena for a quarter century. Her site HealthNutNews.com is barely 4 years old, but cracked the top 20 Natural Health sites worldwide. She is an author, public speaker, and has recently done some TV and film programs for some of her original work which have attracted international media coverage. Erin was the recipient for the Doctors Who Rock “Truth in Journalism award for 2017. You can get Erin’s free e-book here and also watch a short documentary on how she overcame vaccine injuries, Lyme disease, significant weight gain, and more. Follow Erin on Facebook, Twitter, and Instagram.P.S. You can subscribe to her Youtube Channel for breaking news, television appearances and more. ©2018 healthnutnews.com | 226 N. Nova Road, Suite. 140, Ormond Beach, FL 32174 | (305) 912-2688 | All Rights Reserved.